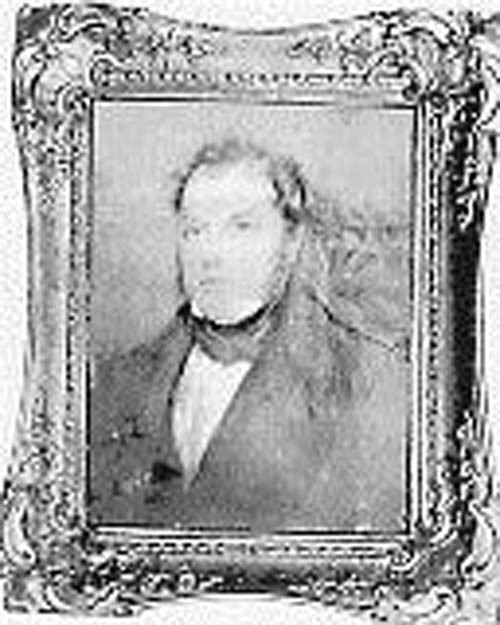 3-Hugh Murray, son of Hugh Murray and Anne nee Young, was born on 20 May 1789 in Edinburgh, Midlothian, Scotland, died on 21 Dec 1845 at home in Colville Street, Hobart Town, Van Diemen's Land at age 56, and was buried on 24 Dec 1845 in St Andrews Presbyterian Cemetery, Hobart. 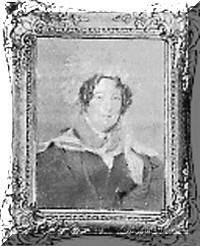 Hugh married Jean Carmichael, daughter of Andrew Carmichael and Lillias Cross, on 1 Dec 1813 in St Cuthberts, Edinburgh, Scotland. 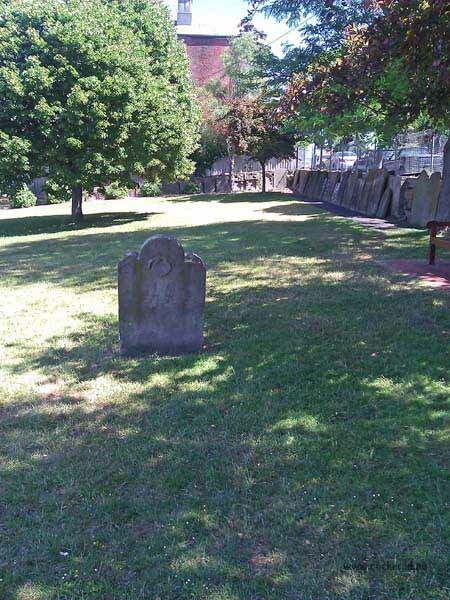 Jean was born on 7 Jan 1788 in Edinburgh, Midlothian, Scotland, died on 11 Oct 1871 in Geelong, Victoria at age 83, and was buried in Geelong Western Cemetery. 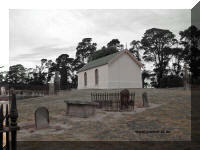 The story of Hugh and his family's arrival in Van Diemen's Land is told here. Hugh played an important part in the life of the Church of Scotland in the district. The settlers at the Macquarie River soon began to consider the establishment of a place of worship after the form and service of the Church of Scotland. At a meeting at Winton (Adam Turnbull's property) on 2 Jan 1826 a committee was appointed to expedite the business and obtain subscriptions. The members of this committee were George Taylor, Adam Turnbull M.D., James Reid, Hugh Murray and John McLeod. 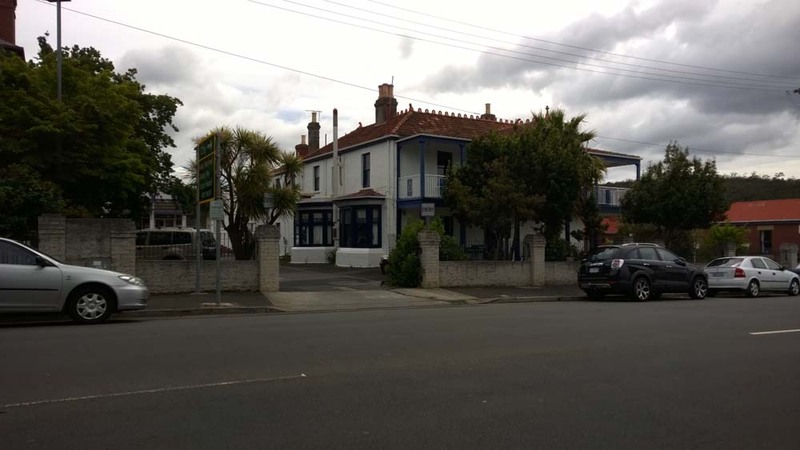 Services had been held previously in Hugh Murray's dining room. 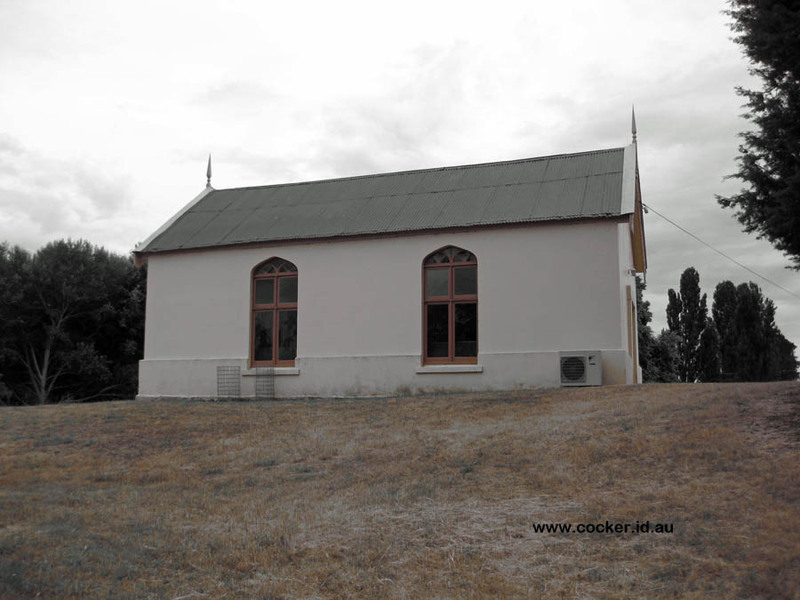 Mrs. Hugh Murray laid the foundation stone of the church which was built at Kirklands. Hugh applied for an additional grant in 1830, having improved his property by a dwelling house, outbuildings, two miles of four-railed fence and the cultivation of 100 acres. He had 1800 sheep and 25 cattle. He also expected to receive from 80 to 100 pounds a year from the estate of his mother-in-law, Lillias Carmichael, who had recently died in Scotland. 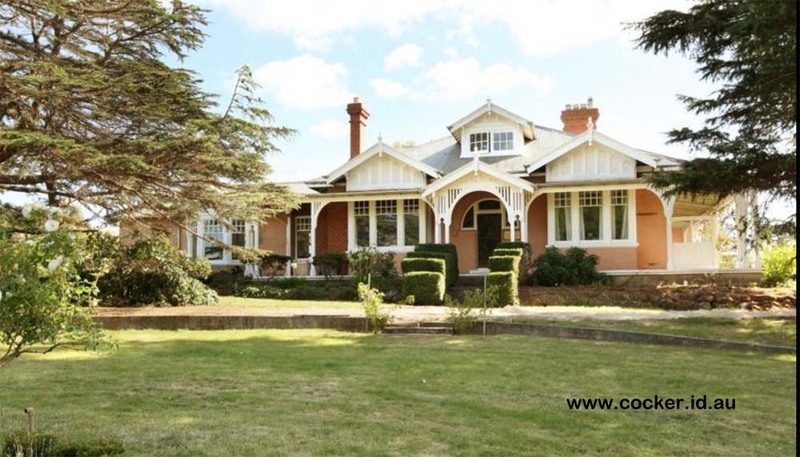 The police magistrate at Campbell Town reported that Murray was 'generally understood to have little surplus capital, being of rather expensive habits'. 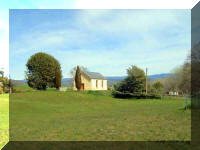 Pictured below is his original house at St Leonards. 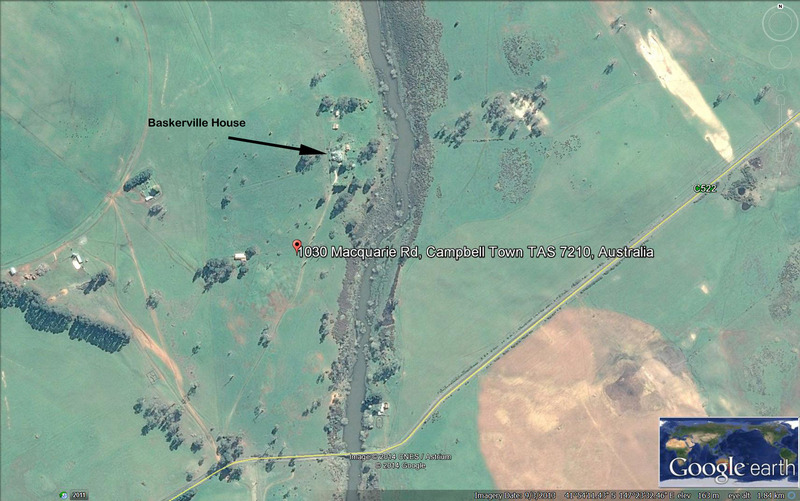 Hugh was granted an additional 800 acres (324 ha) but he sold his property in 1831 to Charles Baskerville Viveash who changed the name from St Leonards to Baskerville. The property was later owned by the Headlam and then Finlay families. In 1906 G.L. 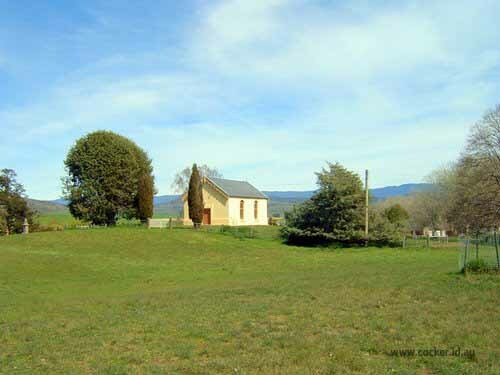 Finlay built a new Federation style mansion, pictured today below, in an idyllic setting on the bank above the Macquarie River near the bridge. 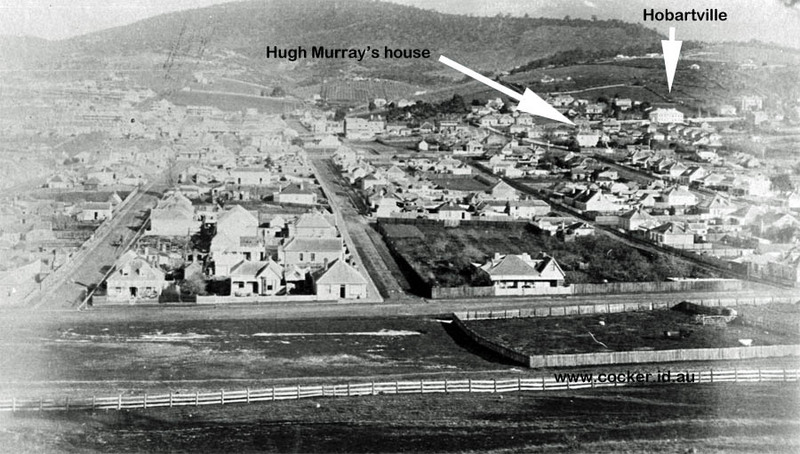 By 1948 Hugh’s original house was still standing but abandoned. The property operated for a while as Baskerville Hall Bed and Breakfast with a fine restaurant but has now contracted to about 80 acres and is being lovingly cared for and restored by two retired owners. 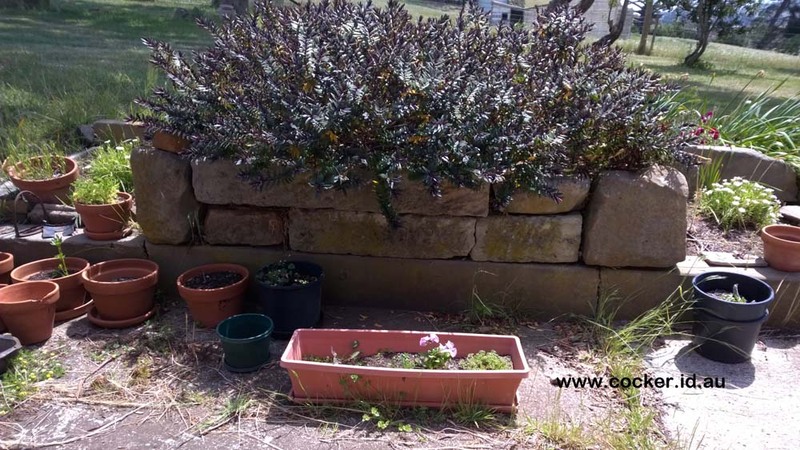 They were told when they bought the property that the original homestead had been a little further up the river and that the sandstone footings were long ago removed to form some garden beds around the new home, photo below. 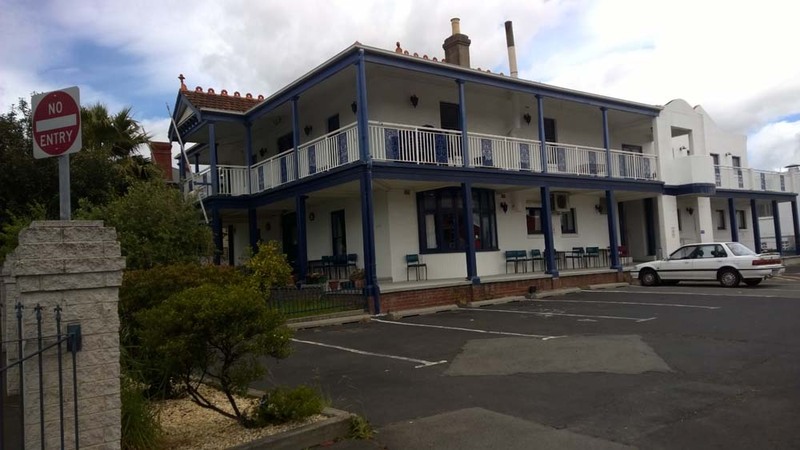 It’s address today is 1030 Macquarie Road, Campbell Town. 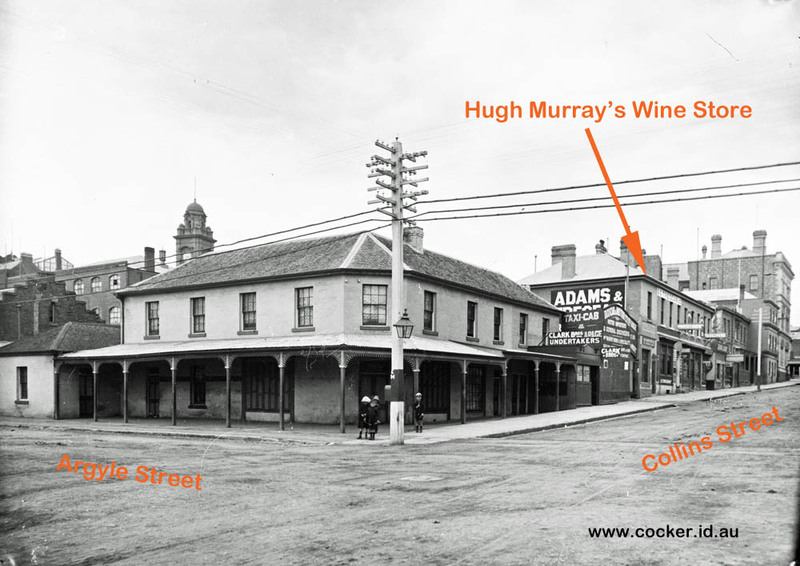 Hugh moved to Hobart and established himself as a wine and spirit merchant, first in Liverpool Street and later in Collins Street, and he took a leading part in the development of the colony. His letters show him to have been a shrewd man of business, of true Scottish caution. "He is a screw - be you as sharp with him," he writes to Mr. Walter Davidson, of Campbell Town, of the carrier who was trying to overcharge. HUGH MURRAY begs to intimate, that he has entered into possession of the above premises, to resume his former business of WINE and SPIRIT MERCHANT, and assures his friends and the public, that they may depend on having their orders for every article in the trade executed with punctuality, and with Wines and Spirits &c of the best quality. Having opened a correspondence, with his old connections in business, in Edinburgh and Leith he expects shortly to receive some choice Wines, &?c, which he will be able to offer to his customers on the most reasonable terms. N. B. Dealers will be supplied with every article in the trade, at the lowest wholesale price. The British Hotel and Brandy Vaults was built in about 1823 by James Ogilvie, originally from Banff, Northern England. In 1826 Ogilvie renovated the building and leased it to John Martin. 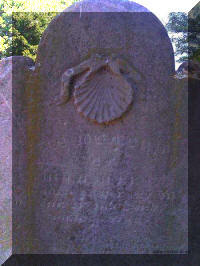 Ogilvie died in 1828. 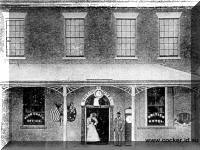 Hugh Murray took over the hotel, operating as both a retail and a wholesale Wine and Spirit merchant. 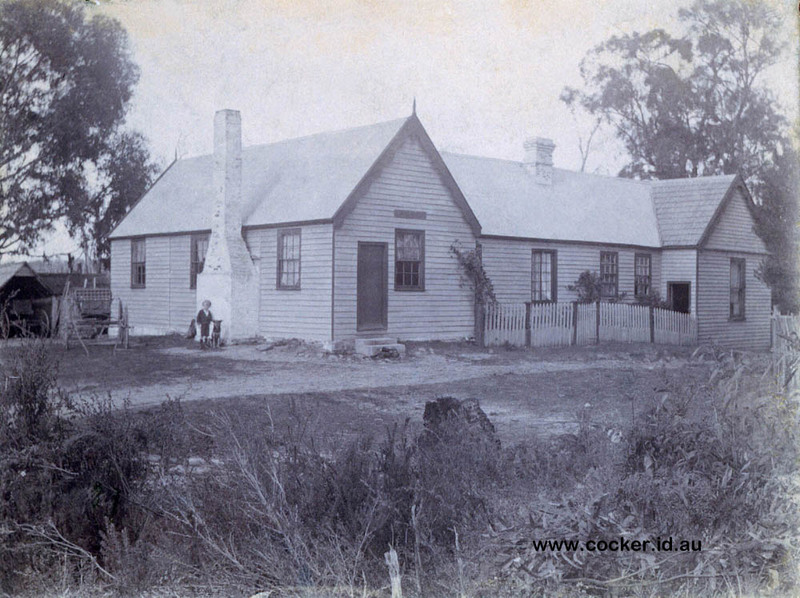 In October 1842 Hugh relocated to custom built premises in Collins Street. 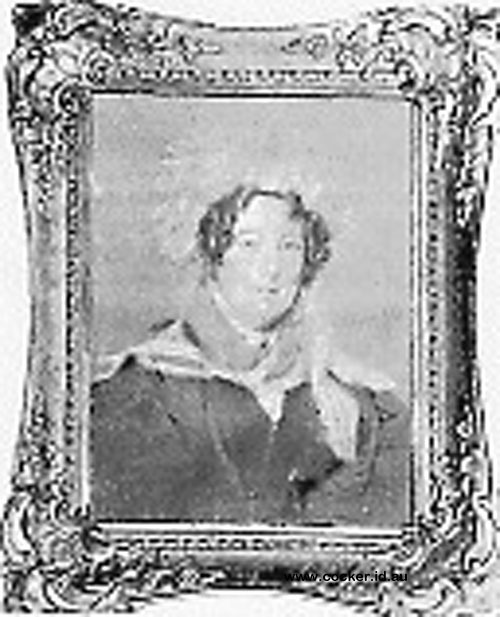 Ogilvie’s widow and her new husband James Thompson resumed running the British Hotel which also served as a city coach depot. 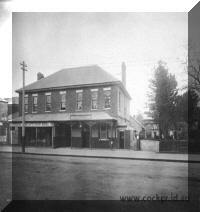 where his business as wine and spirit merchant will be carried on in all respects as formerly. Dunbar's Porter and Ale, in any quantity, &c. &c. &c, all which will be sold to his regular customers, or for CASH, at very low prices. 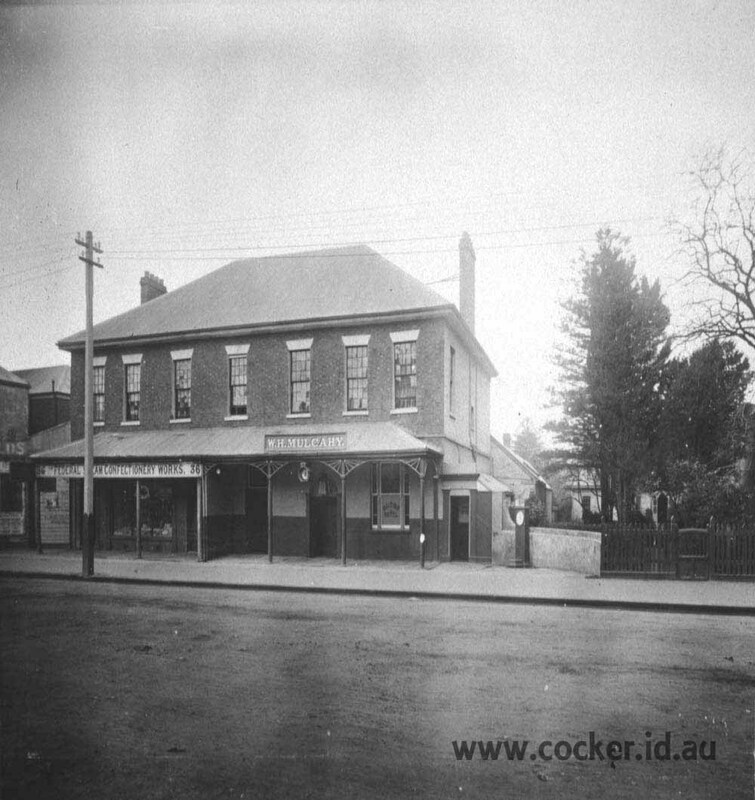 The new Wine Cellars building no longer exists; probably demolished when the AMP Building was constructed. 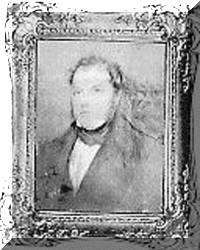 After his death in 1845 the Wine Cellars were operated by his son, Andrew, until he was lured to Victoria by the huge land holdings that Hugh Murray senior and his family had acquired around Colac. Hugh built a fine house on the corner of Colville and Argyle Streets on what was then the northern fringes of the city. It was one of the grandest homes of its time in the area. 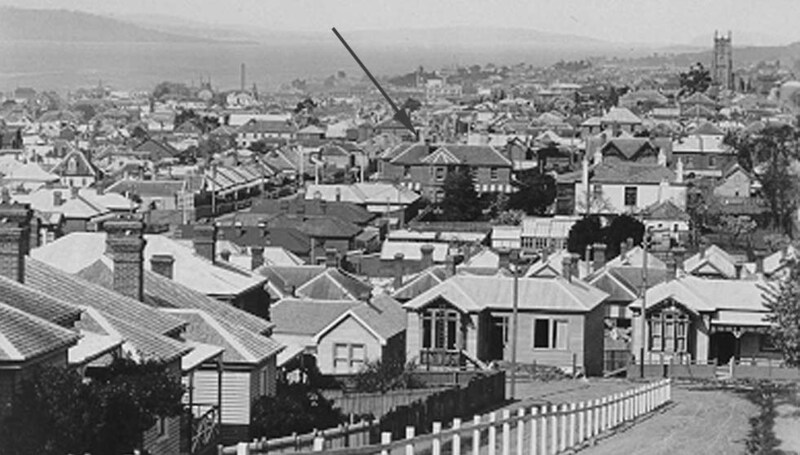 Colville Street was renamed Gormanston Street in 1897 and then renamed again to Federal Street in 1899. Hugh Murray was active in the Presbyterian Church. 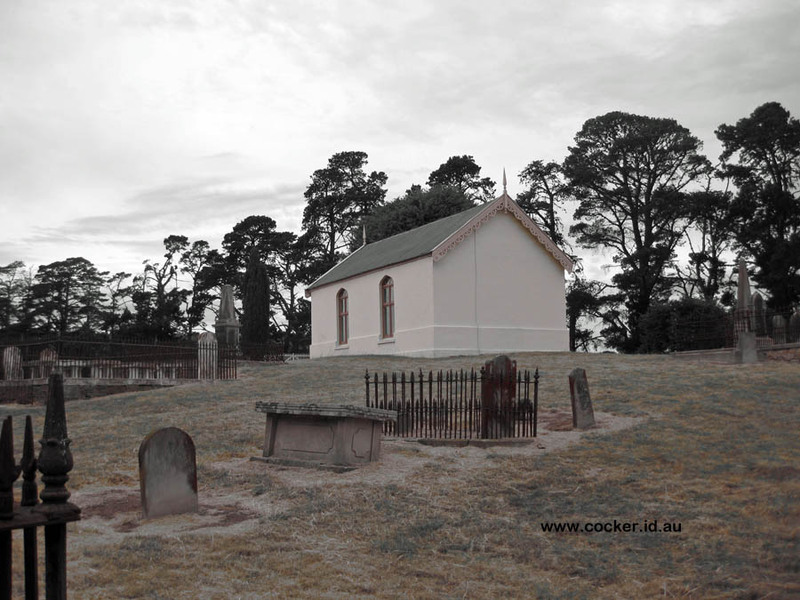 He helped create Kirklands and joined the petitioners for government aid for a minister for St Andrew's Church in Hobart, and helped to raise funds for the erection of Scots Church, Melbourne. He was one of the first trustees of the Hobart Savings Bank. In 1839 shortage of foodstuffs saw prices soar and this caused some distress. On 24 August a large committee was formed to raise funds to “to relieve the prevailing distress consequent upon the present high prices of provisions'. Hugh Murray was appointed as Treasurer and Secretary. Money was collected by subscription and through ministers of various religious denominations who made special collections at their churches. In only a couple of week £591 had been collected, including £150 from Sir John Franklin. Most desirable Mercantile Premises and Genteel Family Residence, also large Allotment of Ground in Colville-street, the property of the Estate of the late Hugh Murray, Esq. Comprises the spacious Mercantile Premises in Collins-street, admirably adapted for any kind of business, only recently erected, and most substantially built of free stone. The large cellars are cut out of the solid rock, and perfectly dry. The stores are admirably arranged, with extensive yard room, while the situation, from the recent improvements in the neighbourhood, (particularly the splendid building erected by Messrs. Lewis & Sons,) is one of the best in Town for carrying on a large business. The commodious and substantial Two-story Brick Residence, together with the extensive garden, yard, out-offices, and premises situated at the angle of Argyle and Colville-streets, at present in the occupation of Mrs. Murray. In announcing this property for sale, the Auctioneers feel great confidence in recommending it to the inspection of those who are desirous of securing one of the best finished, and most conveniently arranged, family residences near town. The garden is in the highest order, and well stocked with the choicest fruit trees. 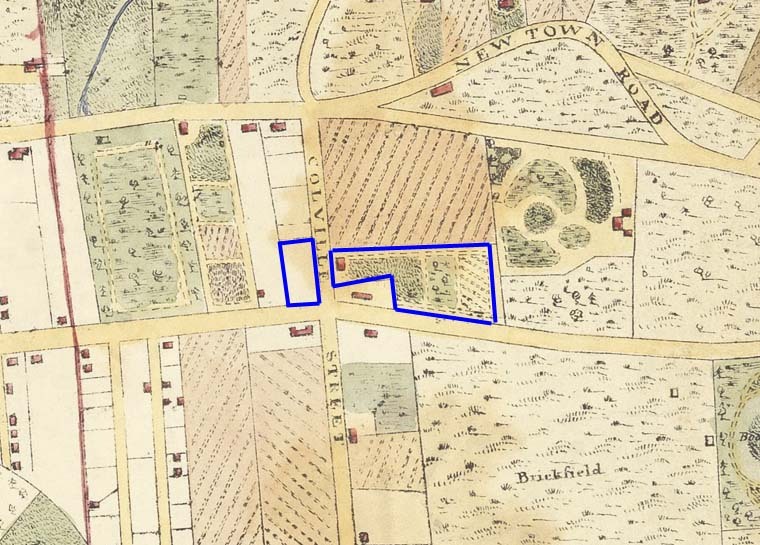 An allotment of Ground situated immediately opposite Lot 2, having a frontage of about 200 feet to Colville road, and about 100 feet to Argyle-street. Terms in a future advertisement. 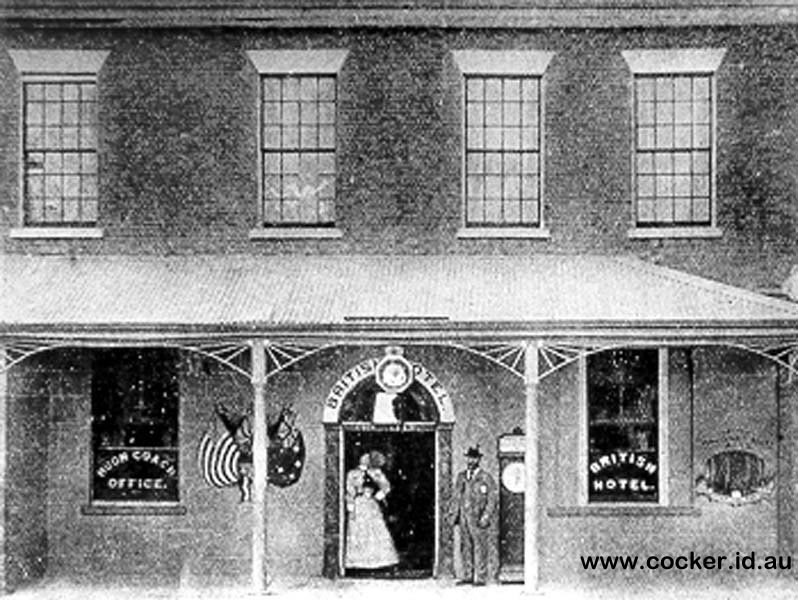 N.B.-The Stores in Collins-street can be inspected at any time, but the property in Colville-road can only be seen by cards from the Auctioneers. The first picture above is an extract of Surveyor George Frankland's famous 1830's Hobart map showing his house and Lot 3 (above) opposite. The second is a rear view of his house looking south down Carr Street. 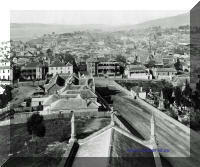 The third is an 1890's photo from the Domain showing George, Wellington, Worley and Federal Streets running from Letitia Street. 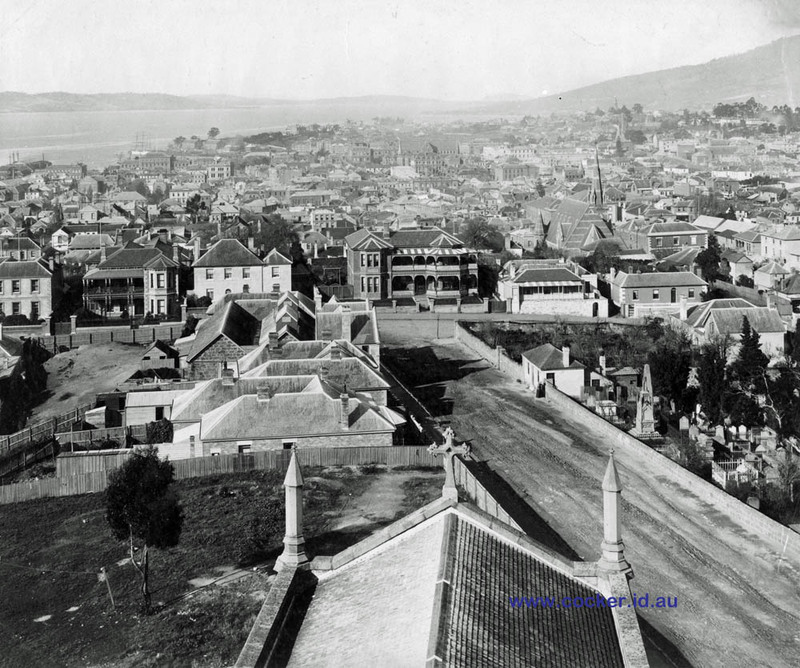 Near the top right can be seen Hobartville, now the Friends School, built in the 1830s. 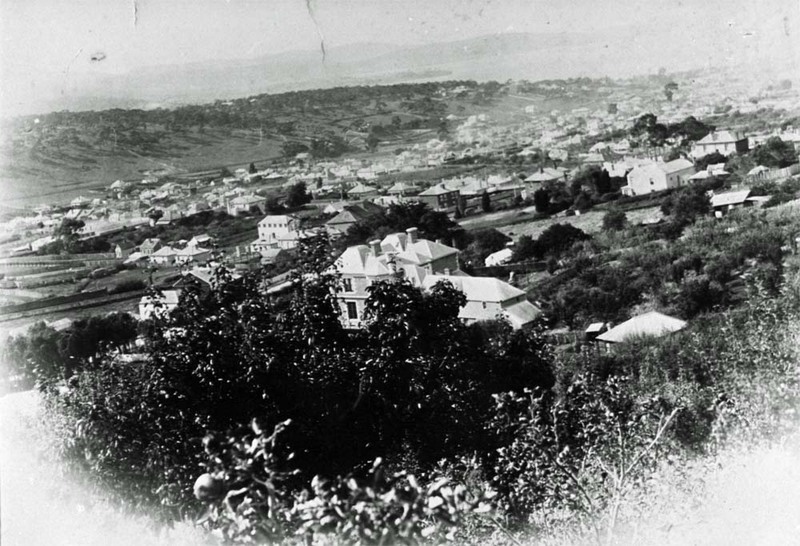 The fourth,1890's, picture was taken from Mortimer Avenue looking over the top of Mimosa in Elizabeth Street. The fruit trees can be clearly seen in the rear garden. 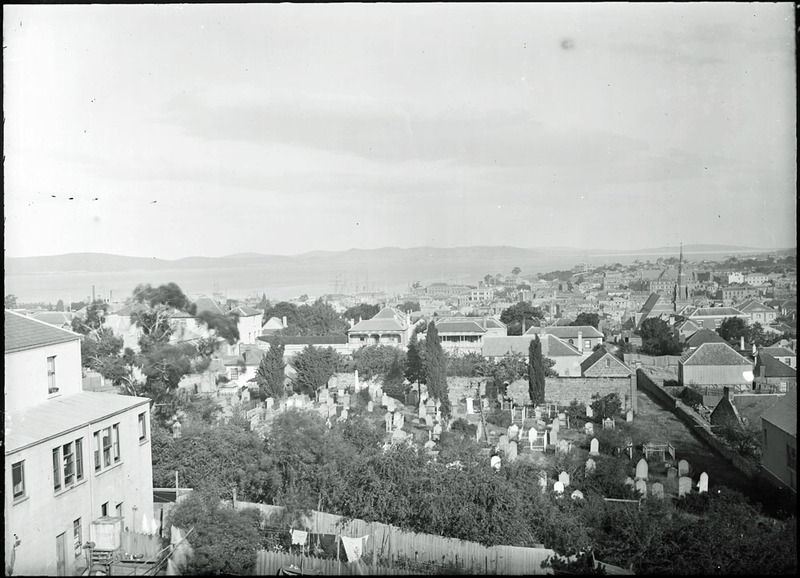 The first three photos are courtesy Tasmanian Archive and Heritage Office. 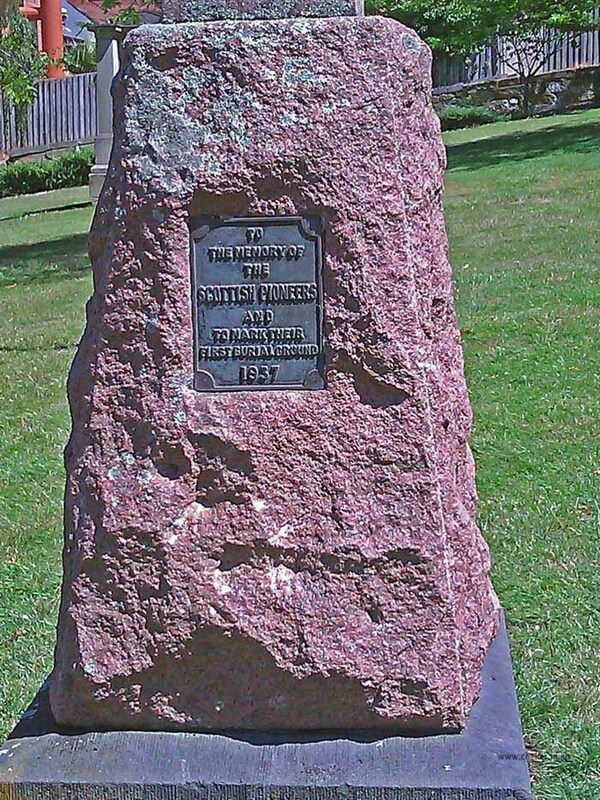 The fourth is courtesy Robert Vincent North Hobart Heritage Study 1999. The house was later known as Melmerby, the home of Joseph Benson Mather. Today, known as 67 - 69 Federal Street, it is the headquarters of the local Greek community, the Hellenic Club. 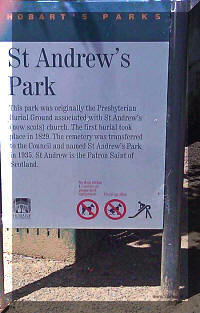 The Presbyterian Burial Ground associated with St Andrew’s (now Scots) Church where Hugh was buried opened in 1829. 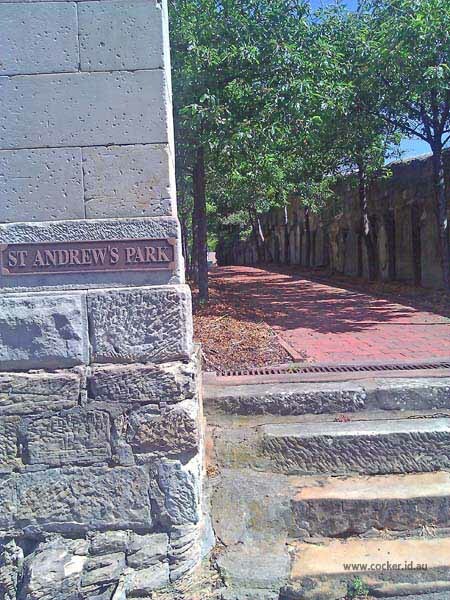 The cemetery was transferred to the Council and re-named St Andrew’s Park in 1935. 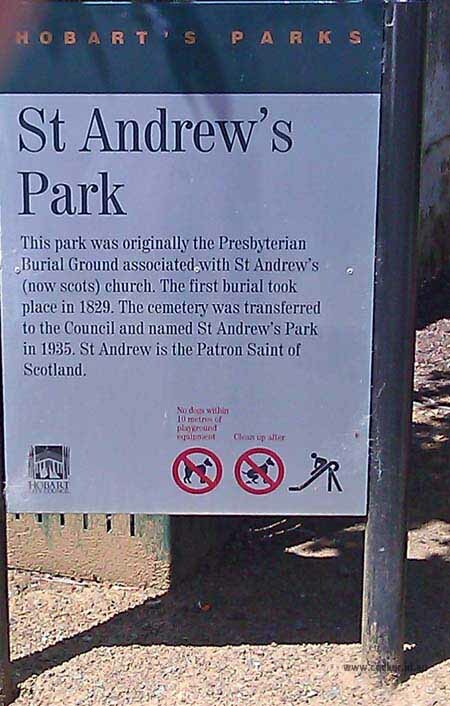 St Andrew is the Patron Saint of Scotland. 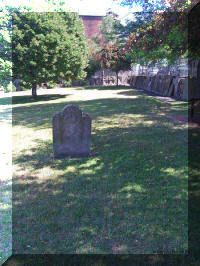 It was converted to a beautiful council park and most of the headstones were set in the surrounding wall. 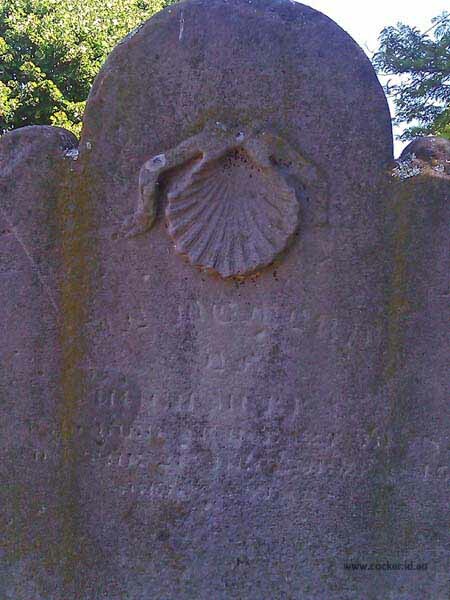 Hugh Murray's headstone, however, was left in its original position, as were those of the first minister of the church and a couple of other dignitaries. 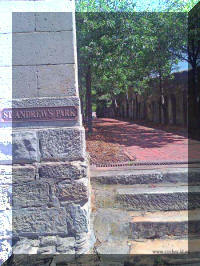 His mother's headstone looks over the park from the boundary wall. 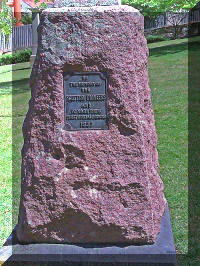 A cairn was also erected in 1937 in memory of all the Scottish pioneers.